be aware of? If yes, please describe them and indicate special precautions or care needed. Discount: There is a 10% discount off of the regular tuition for each additional child of the same family. There is a 5% additional discount off your total tuition for each child of another family you successfully introduce to the Chabad Hebrew School. PLAN B: You may pay the annual tuition on a monthly basis by submitting 5 checks each dated September through Jan. All checks must be submitted before the first day of Hebrew School. PLAN C: You may use your credit card to pay the tuition on a monthly basis. Your credit card will be billed monthly September - June. To do so please include your credit card number and expiration date. 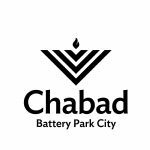 In the event of an emergency, Chabad BPC Hebrew School has my permission to arrange for any necessary first-aid or care by a licensed physician/first-aid worker. Chabad BPC Hebrew School has my permission to use my child's photo in its publicity materials. I have completed the Enrollment Form and agree to pay any balance according to the terms of agreement oulined above.